Put away those sunglasses, because the heat and brightness depicted in the fiery Impressionist sun is nothing but an illusion, a well-kept secret of knowing artists, from Monet to da Vinci. And, by the way, yes, Mona Lisa is hiding something underneath her smile. Neuroscientist Margaret Livingstone of Harvard University Medical School revealed some of the science behind human visual perception of art. Part of the human visual system consists of the 'colorblind' mammalian visual system (the same system found in cats and dogs). The mammalian visual system can see three dimensions, and recognize things that move (this is what we use to navigate our environment). As primates, humans also have an object recognition system that sees in color, recognizes faces and evaluates the environment. We use both systems simultaneously. Artists like Monet understood this dichotomy in our visual processes and used it empirically to give the illusion of color and space. The two parts are sometimes called the 'where' and 'what' system. 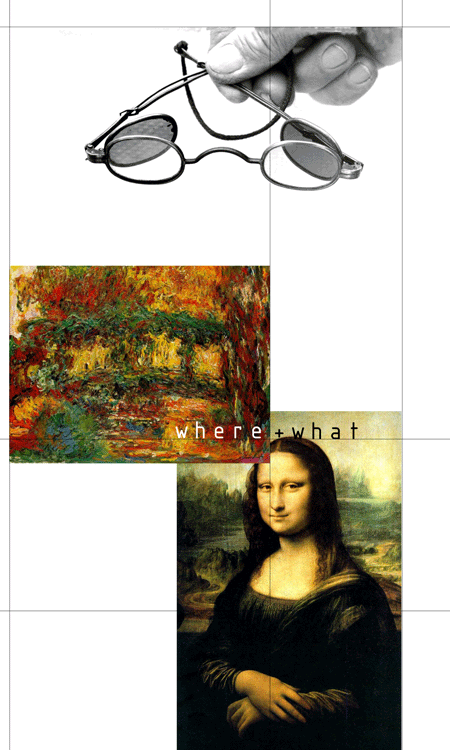 The 'where' system is the 'colorblind' part that allows us to orient objects spatially, whereas the 'what' system lets us recognize and evaluate them.